Nollywood actress, Mercy Johnson, is not just doing well as a celebrity but also career wise and family wise that she has grown to become a well-respected role model. The actress can be said to be one of the most versatile actor who is ready to accept any movie script that comes on her table be it the cinema kind or the popularly known Asaba movies. 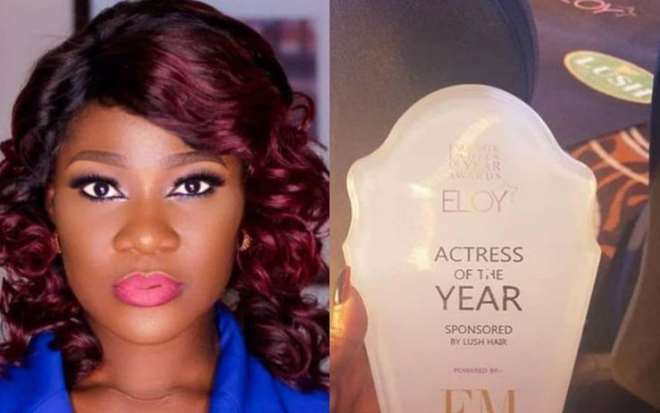 Her humility has further taken her far as she recently won the ELOY Actress of The Year Award.